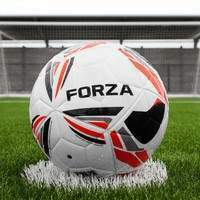 16ft x 7ft FORZA Steel42 Soccer Goal for junior 9-a-side matchdays and training sessions. 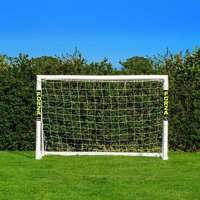 Made from tough 42mm galvanized steel with a thick UV stabilized white goal net. Need another size? 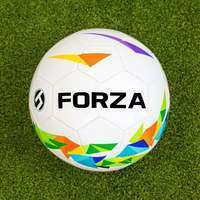 View our full range of FORZA Steel42 soccer goals here. 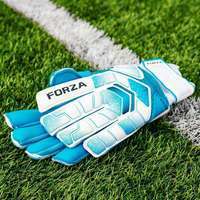 Offering versatility which allows it to pull double duty as a junior matchday and training goal, this tough soccer goal has been designed to handle consistent sessions. Made from high strength 42mm galvanized steel, the junior soccer goal will perform at its peak all season long and beyond. This steel soccer goal has been expertly designed to change the face of 9-a-side junior soccer. 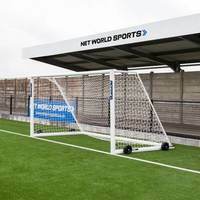 Whether it's being used for coaching sessions or under 13 matches and tournaments, the goal brings professionalism to any venue in abundance. Hit the back of the net with this 16 x 7 soccer goal. 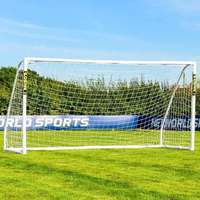 Rust or corrosion won't cause harm to this durable soccer goal, as the combination of sturdy steel posts and rot-proof UV stabilized goal net provides unbeatable protection against all weather conditions. The convenient weatherproof soccer goal for juniors can be left fully assembled outdoors. 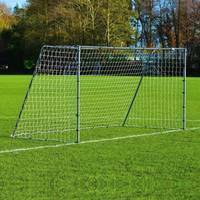 Give your junior 9-a-side outfit the premium goal they deserve with this top of the range 16 x 7 steel soccer goal. 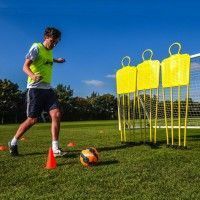 Suitable for use by coaches as well as on the matchday pitch, this versatile soccer goal will take the weekly 9-a-side experience to the next level for enthusiastic youngsters looking to hone their skills before they graduate to 11 v 11 action. 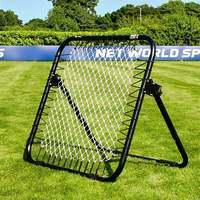 The unique, modern steel soccer goal will add a stylish twist to 9-v-9 matches, providing a worthwhile target for the best top-corner seeking efforts that your juniors can muster. Strength is a key feature to look out for when hunting for the best matchday soccer goal for 9-a-side junior matches. 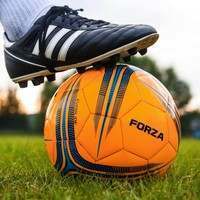 The 42mm galvanized steel goal posts are capable of standing up to the demands of a full season, offering consistency and high levels of performance from the first match to the last. 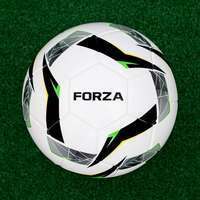 While you can certainly rely on this long-lasting soccer goal, you can’t always rely on the sun to shine over matchday. 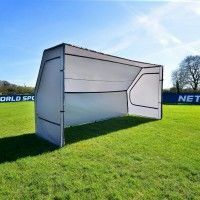 This weatherproof soccer goal ensures that the show can go on when the heavens open, having been designed with weather-resistance that allows it to be left outdoors all year long. While the heavy duty nature of this steel goal ensures robustness and strength, no compromise has been made on portability. Its freestanding posts are deceivingly light in weight, allowing them to moved with ease by the combined efforts of two people. 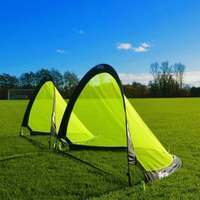 Perfect for coaches and youth teams who play on various venues, the mobile steel soccer goal will turn your 9-a-side matches into weekly World Cup duels with its premium aesthetics and durable manufacturing. 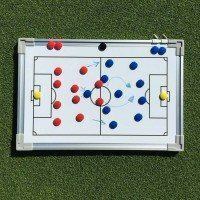 There’s no better junior matchday soccer goal on the market than the 16 x 7 Steel42. 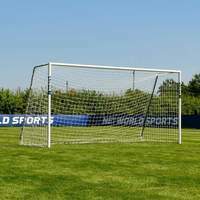 Not only does this match-winning soccer goal features the finest steel goal posts, but it also includes a highly durable UV stabilized goal net. The 3mm thick net is weatherproof for protection against rot, featuring durability to match that of the posts. 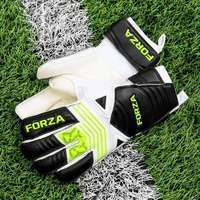 Its classic white design brings the look and feel of a professional match goal net to the 9-a-side pitch, with the longevity to handle a glut of goals over the course of a season. Bungee cord net attachments are included for secure and simple attachment, as well as anchor u-pegs which keep the goal rooted to the ground. 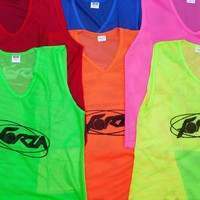 Very good quality product for a very reasonable price. I am a US customer and had concerns about purchasing from a UK vendor, but had no problems whatever, it shipped a couple of days after my order and was on my front porch within 2 days. Easily assembled and the kids and I have been having a blast playing in the yard ever since. 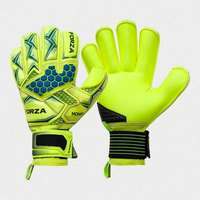 Great quality and very durable for young and older players. What is the warranty information and do you offer replacement netting?